Arm, aim, burst! Embark on a colorful bubble adventure with all your favorite Smurfs in The Smurfs: Bubble Story! 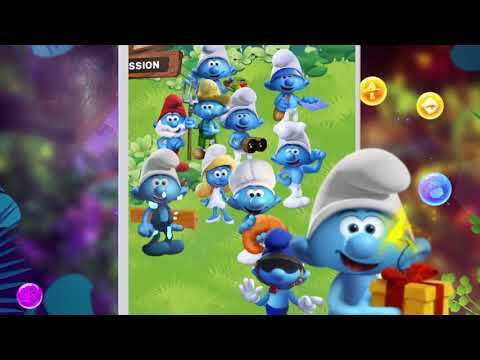 Join these little blue beings in an incredible magical adventure and discover with them new Smurfs, explore the world Smurf and get ready to face (small and very blue) face against Gargamel. Earn rewards, unleash special moves and expand your Smurfs collection by breaking everything on your way to victory! ALL YOUR FAVORITE SMURFS - Smurfette, Heavy Smurf, Smurf with Glasses, and some more will accompany you in your adventure. Like in cartoons! BUILD YOUR SMURFS COLLECTION - Collect different types of Smurfs with special abilities that will help you cross levels in a flash. EXPLORE A FANTASTIC WORLD - Journey through classic and familiar lands, such as the Smurfs Village, the Forbidden Forest and even the Gargamel Den.